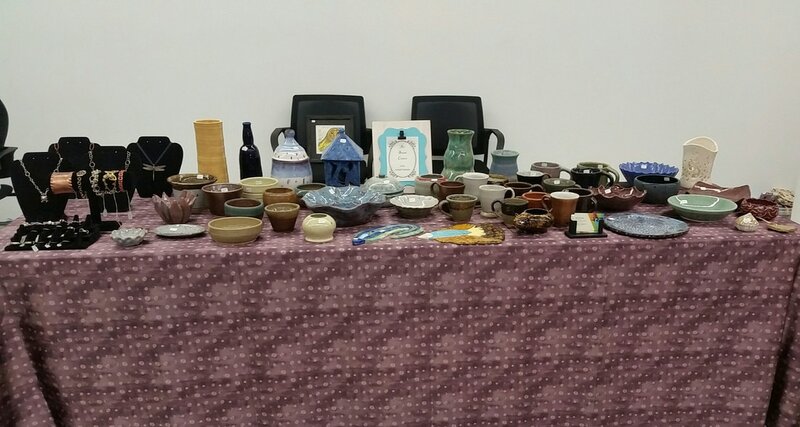 Three of my ceramic pieces are being displayed at OCC, Royal Oak campus. Galleries and businesses all over town are had another Downtown Rochester Spring Gallery Stroll, on Friday, April 19, from 6:00 to 9:00 p.m. The stroll featured four new venues who have not participated in this event in years past. Welcomed were Holy Cannoli’s, Dessert Oasis Coffee Roasters, Trent Design, and Subjectively Objective. The twice-yearly gallery strolls are an excellent opportunity for art lovers and those looking for a fun evening on the town to walk from one site to another, discovering new artists, meeting area business owners, and enjoying all the community has to offer. 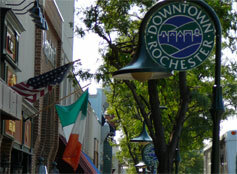 Spring Gallery Stroll in Downtown Rochester, MI. 9 downtown venues show off art at spring exhibit. 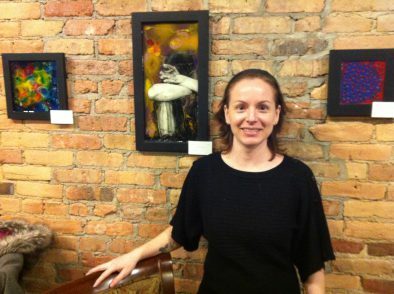 The weather wasn't exactly spring-like for Friday's Spring Gallery Stroll in downtown Rochester, but that didn't stop local art aficionados from enjoying exhibits at nine downtown venues. 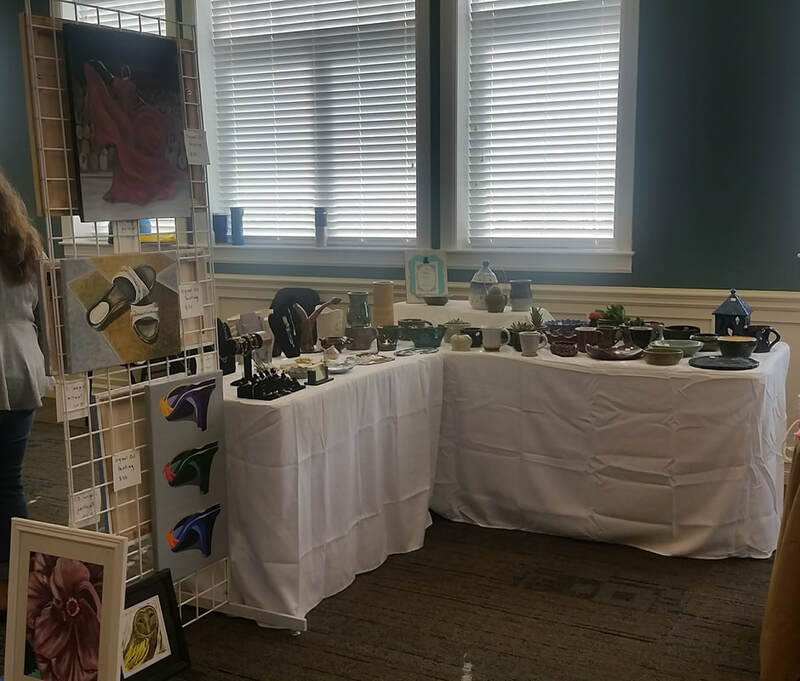 Artists and collectors from throughout the area showed off their works Friday, April 19, 2013 at local galleries, coffee and dessert shops and a furniture store, among other sites. While the sidewalks downtown were mostly quiet, the venues along the stroll's route were bustling with business. The works varied in styles, from glimpses of historic Rochester to avant-garde posters from the Netherlands. Bryan Clifford's display at @Home Furniture included depictions of downtown Rochester from different eras and scenes from a children's book he currently is illustrating. Jennifer Palombit's works at Dessert Oasis, meanwhile, showcased works painted in layers and set in resin, adding a unique effect to each piece. "It's always changing as I'm working on it," Palombit said of her works. "I'll have a plan in mind of what I want to do and the images I want to put into it, but once I start putting the resin dyes into it, I never really know exactly how it's going to turn out." My sculpture "Light Cube", was selected by Juror Jack O. Summers, to be among the 45 pieces shown in the group exhibit "Mixed Up" at The Scarab Club in Detroit. The exhibit is open from June 27 through July 29, 2012. My paintings "Front Porch" and "Essex", were selected by Juror Jim Nawara, to be among the 48 pieces shown in the group exhibit "Realism and Surrealism" at the Grosse Pointe Art Center. 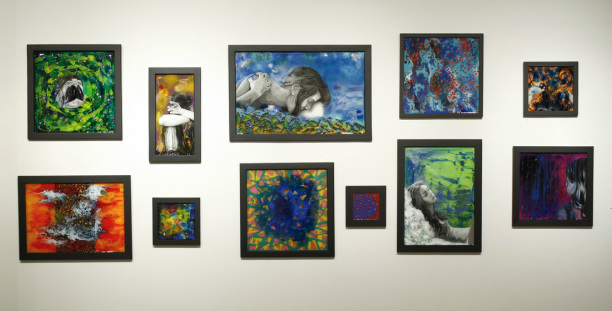 The exhibit is open from June 15 through July 21, 2012.